Why are i-Link offering you a discount on your next over 50s research project? The older we get, the more issues we have to consider in our lives. As we age we have to deal with the things we may have put off during our younger years, face new concerns and attempt to make sense of how our lives have changed. Our priorities shift from being focused on the present to the future. Not surprisingly, in a recent study we conducted*, we found that the two biggest causes of anxiety for people aged over 50 were health and wealth. Over 40% of those who responded stated that their main concern was staying healthy, followed by 30% who were worried about their financial capacity to cover their retirement. The decision to retire appears to be one that is steeped with many difficult questions and dependent variables. More than ten percent of 65–69 year olds surveyed stated that they were looking or intending to look for work. Can I afford to retire early? 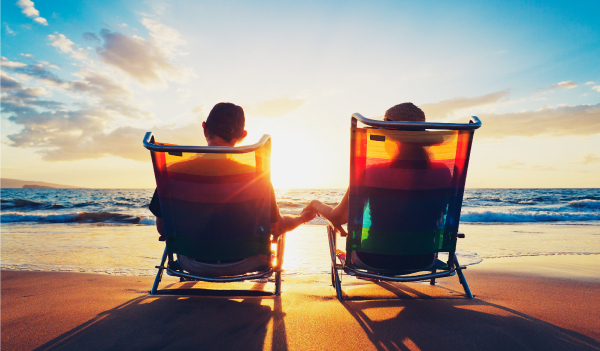 Will there be enough money for me to live comfortably when I do retire? Will I be able to cover any medical expenses that might arise? These are all considerations that we give little thought to, or avoid altogether until they take on more immediate importance as we approach middle age. It is no wonder then that the two most prevalent concerns amongst our 50+ aged panel members are staying healthy and having enough finances to cover retirement. Furthermore, only four percent of our panel members aged 60-64 receive the age pension, compared to 71% of those aged 65-69. This could suggest that people feel pressured to stay in the workforce longer and retire later in life, in order to alleviate some of their concerns about funding their retirement years. Is there anything you want to ask the over 50s? One observation we have gleaned from this study, and other studies involving the over 50s cohort, is that they are very responsive and keen to share their thoughts on a range of topics. We have seen that respondents in this age group have a lot of insight and a wealth of knowledge that can be invaluable to research. With that in mind, and considering the many changes that this demographic goes through, we are offering a special discount for the recruitment of projects aimed solely at the over 50s. *n=4487, study run on respondents aged 50 and over.